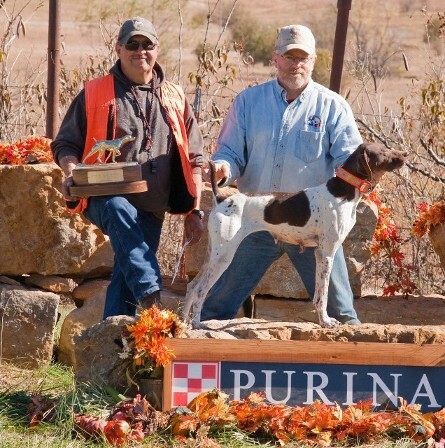 NGSPA Open Shooting Dog National Championship Winner! 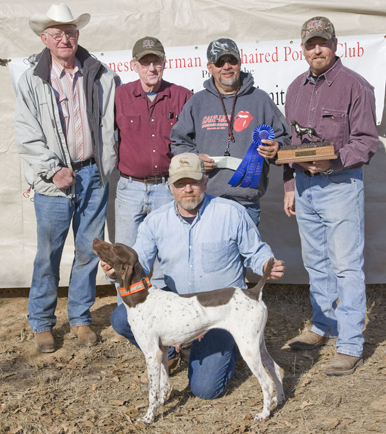 January 2009: John Bodden Memorial Classic Open Limited Gun Dog Champion, Alvord, TX. 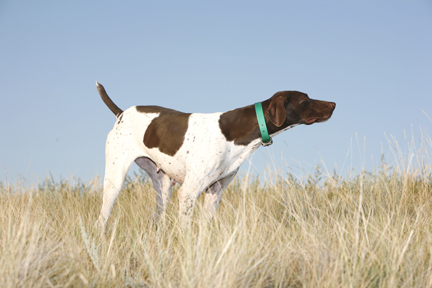 She was handled by Scott Bodenstab and the stake had 27 starters. Dee finished 2005 the #2 Derby dog in the country for the GSPCA! 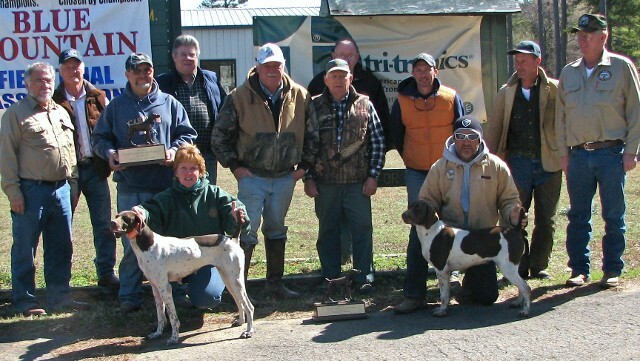 at the GSPC of Nebraska's trial at Branched Oaks by winning the Open Gun Dog stake with 20 starters.